UK, USA, South Korea, Malaysia, Thailand, Spain,..
With capacity of 60 million bags per year and many years of experience in packaging manufacturing and trading, we are proud to supply PP woven packagings with high quality and competitive prices for both domestic and foreign customers such as Thailand, Brazil, Indonesia, Costa Rica, Singapore and Cambodia. Manufacturer of PP woven bags using Japanese & Korean technology. * Coated white PP bag, side folding PP bag, etc. Used for the following industries: Agricultural products, food, minerals, fertilizers, chemicals, fisheries, etc. Because of good quality with reasonable price and good reputation, we have become one of the biggest manufacturers of PP Woven Packagings in Vietnam. - Production capacity: over 300,000,000 products per year. Established in 2008, Anh Sang Packaging Corporation specializes in manufacturing and supplying a full range of PP woven packaging packagings. Our products can be used for agricultural sector, construction industry, chemical industry, ect. Export: Asia, America, Europe, etc. Partners: Vita Fruits, Fresta, Worldmilk, Biovegi, Trung Nguyen, etc. We specialize in manufacturing all types of PP Woven Packaging for packing Agricultural Products, Sugar, Wheat Flour, Rice. Our products are produced on modern machine system and advanced technology that ensure best quality and price. 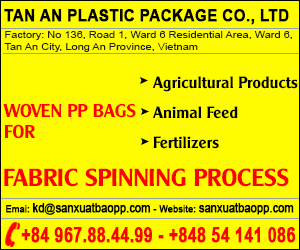 Tan An Woven PP Bags - One of the best choices in Vietnam! ➊ Various products: Woven PP bags, Laminated PP bags, BOPP-laminated PP bags, PE-laminated PP bags, Jumbo bags, etc. ➋ Application:: Mainly used in packgaging Rice, Coffe, Flour, Pepper, Fertilizers, and so on. 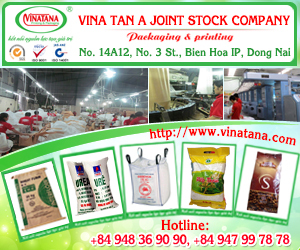 Vina Tan A Joint Stock Company specializes in producing PP woven packagings using for packaging industry, like: agriculture, forestry, Mineral industry, construction industry, fertilizer industry, fishery, ect, with the variety of products and materials to meet the need of customers. A company specializes in producing and supplying PP woven packaging made by advanced German and Taiwan production lines. With capacity of 2 millions per month and 10 years of experience, Nguyen Long Plastic is one of reliable company in manufacturing and supplying PP WOVEN PACKAGING in Vietnam. 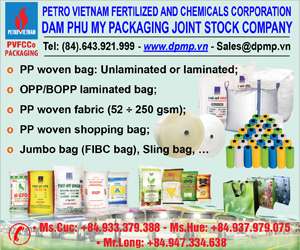 They are used for packaging industry such as: rice, sugar, fertilizer, wheat flour, feed,..
Tien Hang - the leading manufacturer of PP woven bags in Ho Chi Minh City. ► Products: PP woven bags, etc. 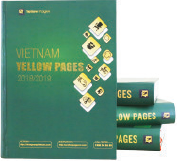 Be established in 2003, Vinh Phat had a long experience in PP Woven Packaging. Application: packaging of rice, fertilizer, seafood, wheat flour,..
Speacialzes in PP WOVEN PACKAGINGS for all of industries such as: food, rice, seafood, fertilizer, cement, sugar, feed,..
Have been established since 2008, The Middle Packaging got its customers satisfaction about PP woven bags in the short time. 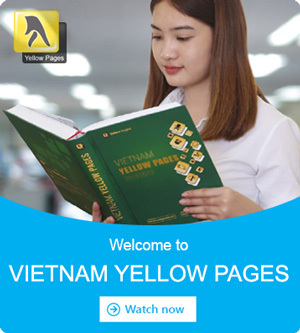 - Products are made by imported advanced production lines from Korea and Taiwan. Used for packagings of Fertilizer, Stone Powder,.. Application for packing agricultural products such as: rice, wheat flour, coffee,.. The unit specializing in manufacturing & printing on PP Woven Fabrics, including PP bags of wheat flour, pepper, rice for export, etc. - The most professional care service. - PP woven for fertilizers, feed,..
- Printing logo, image as customer required.